The Bonifacio Global City in Taguig will be closing key roads on Saturday, 30 August, to make way for a F1 driving exhibition staged by Globe Telecom. 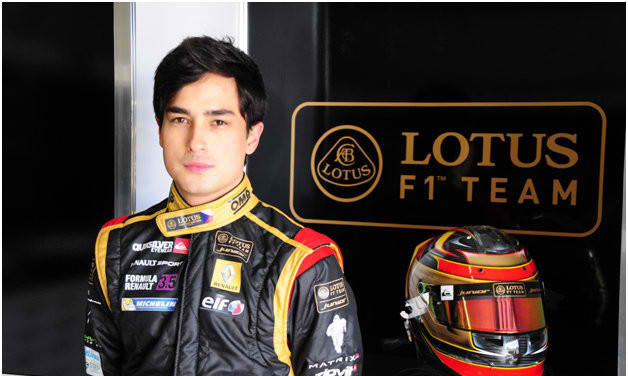 Six roads in the business district will be turned into a street circuit for Globe Slipstream, a one-day event graced by Lotus F1 Junior Team and Marlon Stockinger, the first Filipino Junior Lotus F1 driver. The Filipino-Swiss racing champ will tear through the business district driving a Lotus-Gravity Charouz Formula Renault 3.5 race car to give the public a rare opportunity to get up close with an authentic F1 race car on the road. Select media will have the chance to ride shotgun inside one of the F1 cars. As for the masses, Globe will be setting up a Lotus F1 Static Car and the Lotus F1 Simulators, in addition to booths, speed games and activities. The Race Day Grandstand, in front of Track 30th, has bleachers and is right in front of the karting competition area. It also has a stage where bands from Radio Republic will perform. The Family Fun Activity Area, in front of Terra 28th, features cool speed experiments from Mad Science as well as a gaming area by Hobbes and Landes. An evening outdoor music festival at the Bonifacio High Street Amphitheater caps off the event, featuring performances from DJ Joey Santos, Autotelic, Yolanda Moon, Up Dharma Down and foreign indie acts Dualist Inquiry and Chk Chk Chk. Admission is free. Only 7th Avenue will be open to traffic to make way for cars entering and leaving One Parkade and Two Parkade. It will be open from 2:30PM to 3:00PM and from 3:30PM to 4:00PM.